This beautifully textured pod is from the flowering plant Scabiosa Stellata, also known as Starflower Pincushions. 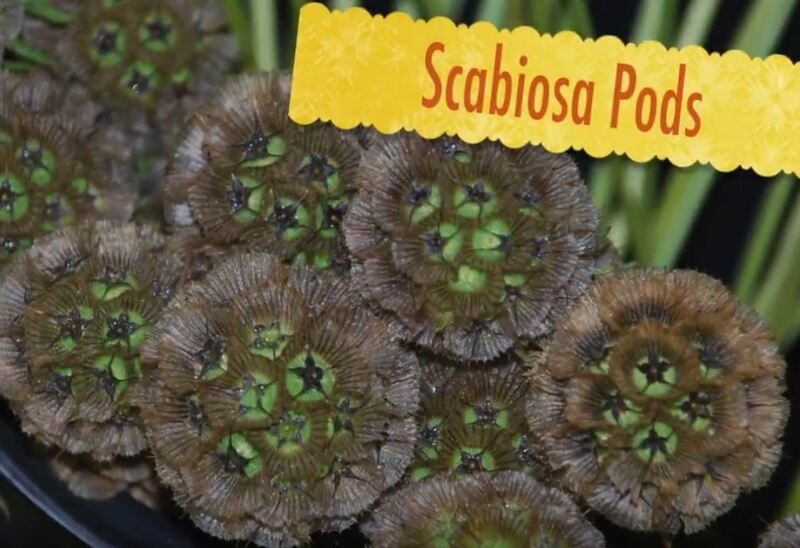 Scabiosa pods are formed by many small little rounded circles that create a rounded ball shape. The colors are earthy green, light and dark browns which make this a popular accent filler in garden inspired designs. Scabiosa pods are great to add a pop of texture to your bridal bouquet and the neutral colors make it easy to add to floral arrangement of any color scheme. Add a very unique touch to your next arrangement with Scabiosa Pods serves as a wonderful decorative filler. Its ball shaped head creates a unique focal point. Use Scabiosa Pods alone or combine them with any of our bulk flowers to create mystical wedding bouquets, table centerpieces or flower arrangements. This entry was posted in Cooler Tour, Uncategorized and tagged buy, buy flowers, floral, floral supplies, flower, flowers, fresh, fresh flowers, paint, ribbon, shop, shopping, wedding, wedding flowers, wholesale, wholesale floral supplies, wholesale flowers.